Phone Web browsers and apps can handle many of your on-the-go Internet needs, but sometimes you have to use a laptop. What do you do if no Wi-Fi hotspot is in range? That's when tethering--sharing your smartphone's 3G Internet connection with your laptop via USB or Bluetooth--can be a lifeline to the Internet. However, not all wireless carriers officially support it, and, depending on your mobile plan, you could get slapped with some exorbitant data charges. Your tethering options depend on your smartphone platform and on your carrier's support--which is important, because if you decide to try it on an unsupported combination, you could be billed extra for your usage or have your service terminated. AT&T users can find most of the necessary information at AT&T's Website, which has a FAQ page and a list of supported devices that includes some feature phones as well as plenty of BlackBerry and Windows Mobile devices. iPhones are notably omitted from the list, as are any Mac OS computers, but depending on your iPhone version you have ways around that limitation. Doing things the AT&T-sanctioned way will require a data plan that explicitly includes tethering (usually found in the company's small-business services) for an extra $30 per month for 5GB. Verizon includes support for tethering for an extra $15 to $30 per month depending on your existing plan, generally with a 5GB monthly cap. Sprint's official company line is that it doesn't support tethering now and won't ever do so, and Palm has discouraged Pre hackers from developing tethering apps. If you want official mobile broadband support, you'll have to go for the carrier's wireless broadband options. T-Mobile's current official stand is that it does not support tethering, but the provider has offered tethering support for BlackBerry and Android phones in the past. If your carrier doesn't support tethering, you can probably still do it with PdaNet (basic version is free, advanced version costs $29), an app by June Fabrics Technology that lets you tether your iPhone, BlackBerry, Android, or Windows Mobile smartphone regardless of your carrier. Just hope that your carrier doesn't notice--if your provider monitors your traffic and discovers that your usage patterns don't resemble those of a typical smartphone user (BitTorrent usage, for example), it could charge you extra or suspend your account. If your carrier has a supported tethering option, it should supply instructions for linking your smartphone and your computer--you can read the instructions for tethering with AT&T and tethering with Verizon. PdaNet users, on the other hand, have to perform most of the setup themselves. iPhone users will have to start by jailbreaking their iPhone and downloading the PdaNet iPhone app from Cydia. After that, you can choose to tether with your laptop's Wi-Fi or tether through USB. If you want to tether through USB, you'll have to download the PdaNet Desktop client onto your laptop (note that this won't work if you don't have iTunes installed) and open the PdaNet app on your iPhone to start sharing your Internet connection. Don't forget to secure your jailbroken iPhone, or you might catch a worm. BlackBerry users need to point their smartphones to http://junefabrics.com/bb to download the latest version of the PdaNet app, as well as to make sure that their laptops have BlackBerry Desktop software as well as PdaNet's BlackBerry Desktop app installed. Once everything is installed on both ends, just open the PdaNet app on the BlackBerry, turn on USB or Bluetooth, and open the PdaNet Desktop app on your PC to start tethering. Android users have an easy time of it. 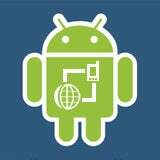 All you should have to do is download the Android PdaNet app to your PC, install it, and connect your Android handset via USB or Bluetooth to start tethering.